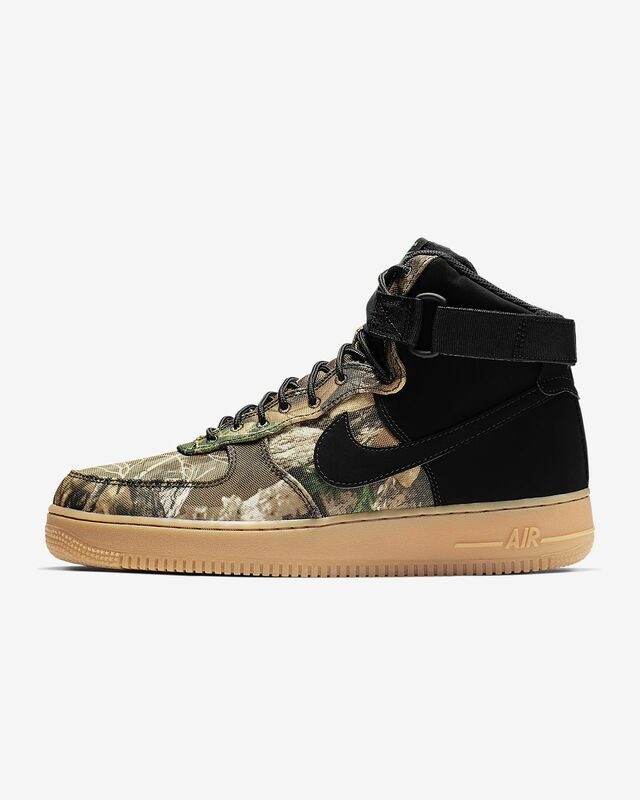 The Nike Air Force 1 High &apos;07 LV8 3 Realtree® incorporates the same hoops-inspired performance features of the 1982 original while adding fresh design details for a sleek look. Its padded, high-cut collar provides a secure fit and comfort around the ankle, while a Realtree® print delivers striking style. Textile and synthetic upper provides comfortable support. Padded, high-cut collar for comfort around the ankle. Ankle strap has a hook-and-loop closure and sits above traditional laces for a snug fit. Realtree® camo is printed on the forefoot for striking style. Got exactly what i was expecting to get very nice product fit perfect, but could have been a little more padding on the inside but still overall good shoe. I Honestly think a boot version would be better keep everything the same with real para cord. 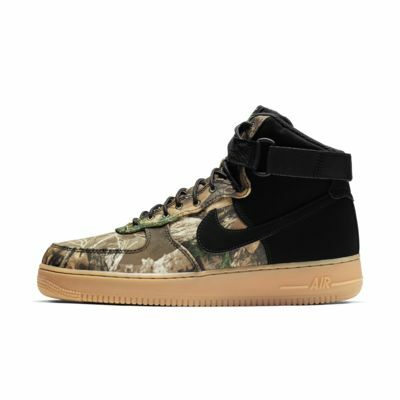 i love them but the camo should wrap around the whole shoe.